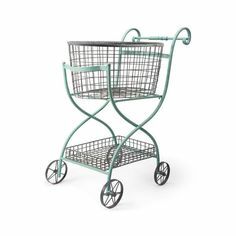 My name is Tammy Wilson, and I’ve been creating cards and paper craft projects for several years. I’ve also been a Stampin’ Up! demonstrator for nearly 10 years. I’ve always thought about starting my own blog, and just recently received some exciting news that gave me that extra inspiration that I needed. 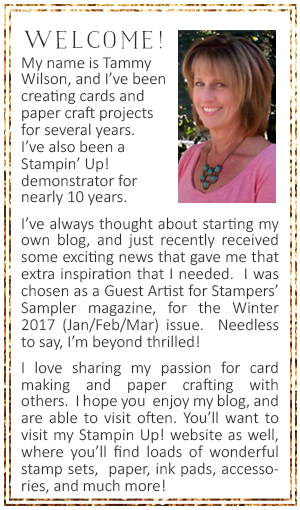 I was chosen as a Guest Artist for Stampers’ Sampler magazine, for the Winter 2017 (Jan/Feb/Mar) issue. Needless to say, I’m beyond thrilled! I love sharing my passion for card making and paper crafting with others. I hope you enjoy my blog, and are able to visit often. You’ll want to visit my Stampin Up! website as well, where you’ll find loads of wonderful stamp sets, paper, ink pads, accessories, and much more! What a wonderful talent you have my friend! Thank you so much for the nice comments, Linda! I really appreciate it!